Cabins and Honeymoon suites private with whirlpools for two & fireplaces from $99-$199 unless peak season with Full breakfast. Situated on the eastern slope of Pilot Mountain, NC, and nestled in a wooded landscape, our individual log cabins are designed to provide you with the rustic charm of yesteryear along with the comforts we enjoy today. 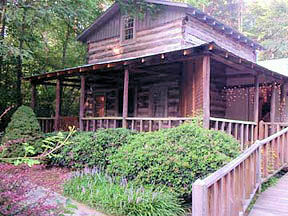 This and other Greensboro Bed and Breakfast Inns can be found here online in The Register.